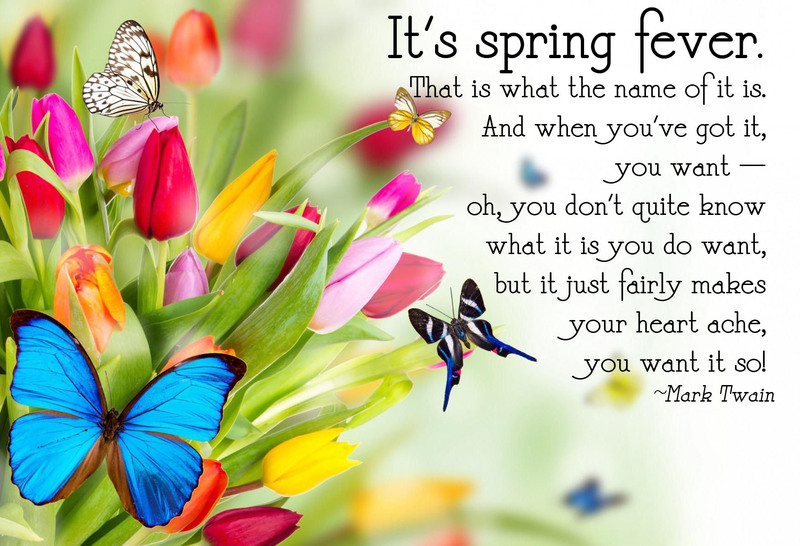 I smile every spring when I see this quote because I relate to it so well. There is just something about spring that makes me a little restless, a little nuttier than normal, a little antsy for … something, although I struggle to put that "something" into words. Do you have the same trouble? Spring is one of my favorite seasons for a multitude of reasons (beyond spring fever). The flowers are starting to bloom. The trees are budding. The grass is beginning to turn green after a long, brown winter. Birds are returning as they migrate north (although if they'd stop hanging out on the power line over my car, I'd be really, really grateful.). Spring, to me, is symbolic of renewal and rebirth, of hope and warmth and light. And then there is that something — something beyond description that flutters inside your chest and tickles the back of your mind — that creates an added sense of wonder, intrigue and longing in these glorious spring days. 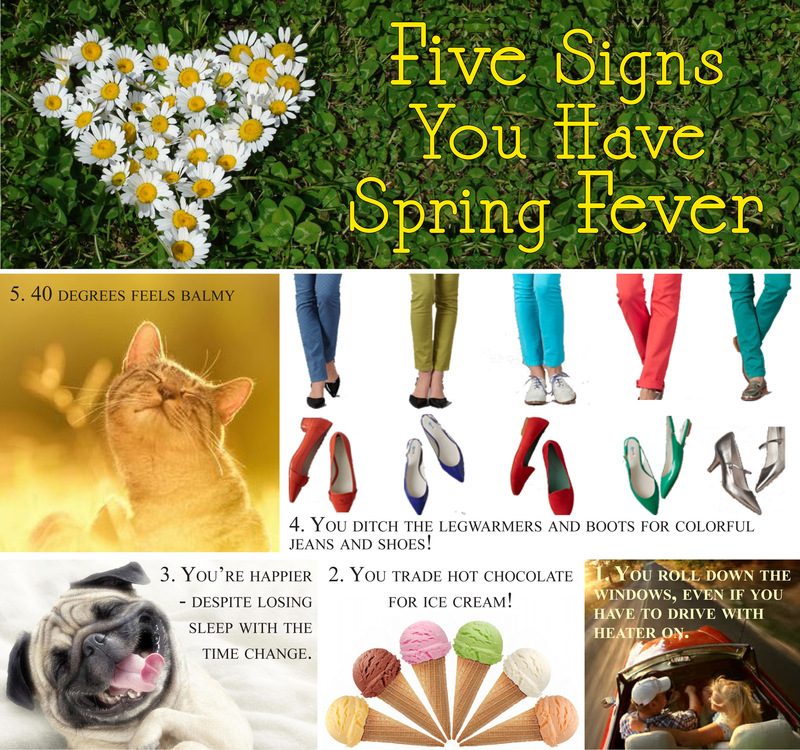 Just for fun, here are five signs that you might be afflicted with spring fever, too! Spring fever runs rampant at the Triple T Ranch, and particularly for one lovesick cowboy in my sweet contemporary romance, The Cowboy's Spring Romance. Post a comment below sharing what you love most about spring (or if you suffer from spring fever) to be entered in drawing to win a digital copy of the book. all the new babies - have baby chicks in my spare bedroom waiting on warmer weather to get them outside - hopefully this weekend! Oh, wow! That is true dedication. Hope the weather warms up - and I love the new babies, too! I love the fresh air and open all my windows and doors, also. It's a beautiful time of year!